From humble beginnings back in 2010, Vancouver Craft Beer Week has grown into an epic celebration of all things beer in BC and beyond. Happening from May 31st to June 8th, we had the opportunity to attend both the opening and closing nights of the festivities and the event did not disappoint. The closing night was held in a custom beer hall outside the River Rock Casino in Richmond, with an array of local food trucks catering to the hungry lovers. Almost 50 breweries attended the event, coming from Oregon, Washington, BC, the Yukon and Quebec to name a few. Drink tokens were going for 1.25 a taster, which gauranteed participants the opportunity to sample ALOT of beer, which we could happily attest to! What was notable this year was the increased presence of Vancouver breweries in attendance. 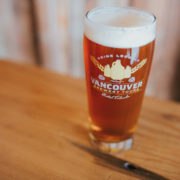 While Victoria has typically enjoyed a larger presence in the BC beer community, Vancouver is quickly catching up and poised to give Victoria a run for its money. Notable new Vancouver breweries such as Powell Street Brewing, Deep Cove Brewing, the soon to open Bomber and Main Street Brewing showcased their talent and offered up some great beers for participants. 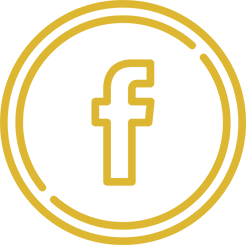 We’d like to thank the organizers of the event for a fantastic evening and for their committment to supporting the growing craft beer scene in Vancouver. Until next year!